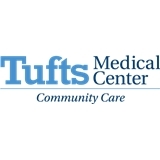 Tufts MC Community Care - Winthrop Primary Care (Winthrop) - Book Appointment Online! Was able to combine an injury visit with a physical so 1 less appointment to go to. Dr. Pransky and his staff always do a great job explaining everything. Definitely recommend his practice. Jessica has always been very supportive and caring. Listens very well to all my concerns and knows of various alternatives to my myriad of problems. Always available when I need assistance.